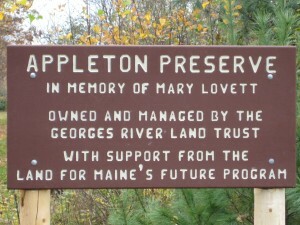 We acquired the 124-acre Appleton Preserve in 2006 with assistance from the Land for Maine’s Future Program. The property boasts high quality wildlife habitats along the Georges River and amongst its floodplain forest, forested and open wetlands, and upland conifer forests. Most of the Appleton Preserve consists of deep glaciomarine deposits of silt loam with relatively few boulders. This has allowed the natural shaping of oxbows, ravines, and gullies found throughout the property. 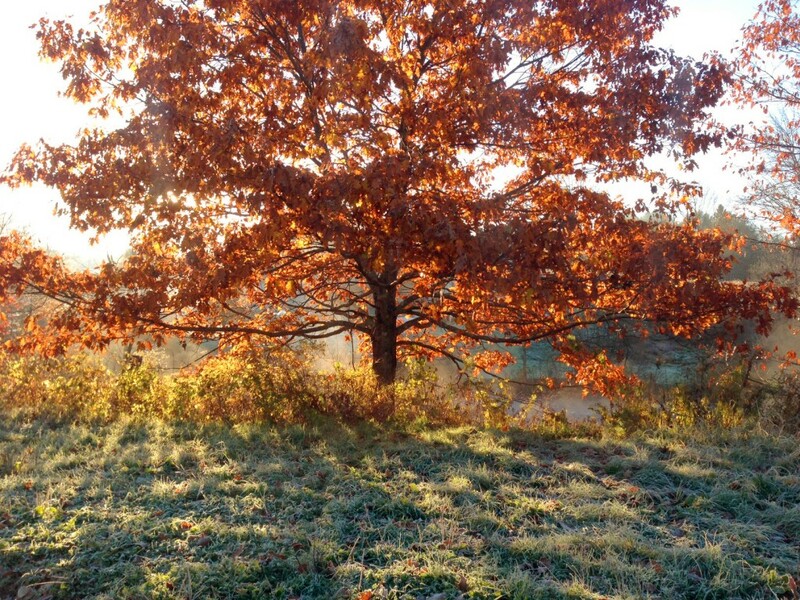 There are more than 300 species of vascular plants in seven different natural community types. The community type that occupies the largest area on the property is the Hemlock Forest, which includes small patches of Red Maple Sensitive Fern Swamp in low-lying areas mostly associated with the riparian zone. The plant diversity at Appleton Preserve is particularly high because of the mesic soils, heterogeneity of habitats, and contrast in disturbance patterns, from spring flooding to agriculture to topsoil removal. 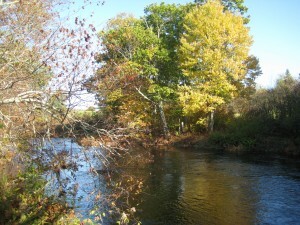 Overall the vegetation is intact, native, and represents exemplary natural communities. 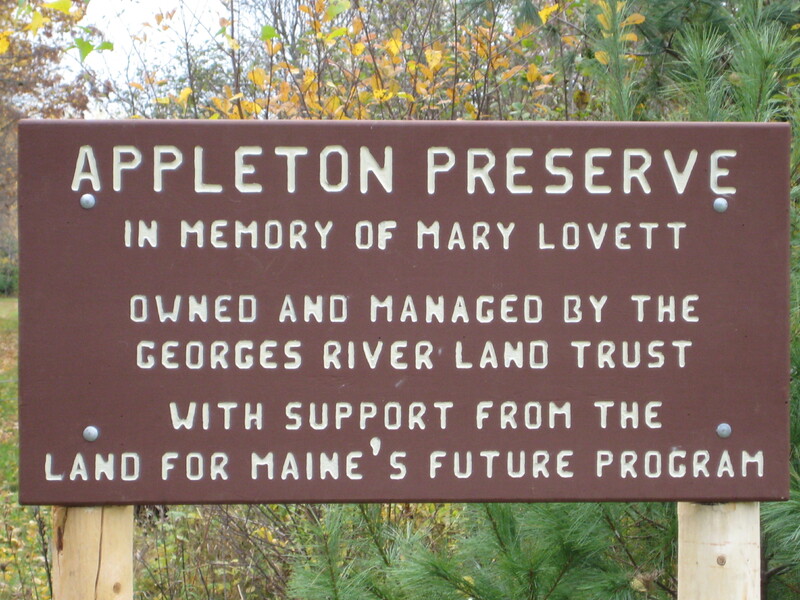 The Appleton Preserve is open to the public for day-use only; no overnight camping is allowed. Hunting is permitted. A one-mile trail/woods road takes visitors along the length of the property. From the intersection of Routes 131 and 105 (Camden Road) in Appleton, go east on Route 105 for ½ mile. Parking for the Appleton Preserve is available at the ME Inland Fisheries & Wildlife gravel lot on the right, just before the bridge across the Georges River (see map). Please do not park in the Blue Crow Studio driveway or use it as a turnaround! Here’s a short video of a poem honoring the land that is now the Appleton Preserve and the beautiful Georges River written by Jean Aldolphsen, and read by the daughter of our Artist in Residence, George Mason. Jean is writing a book about her 8 years spent growing up in this wonderful natural location.